I am really drawn to the patterns, graphics and colors of the Ruby Star collection by Melody Miller, but I was hesitant about the feel, weight and drape of this cotton/linen blend fabric. 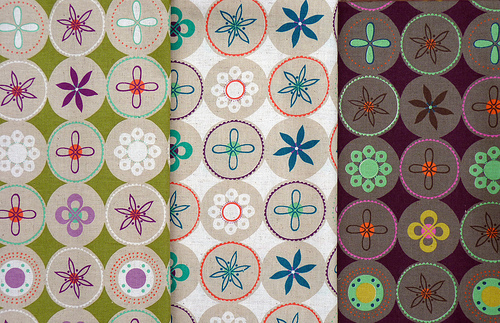 And so, my initial purchase of this fabric range were just those as pictured above. But once I got my hands on these and felt how light weight these fabrics were, I couldn't resist and ordered a few more prints to add to my collection. 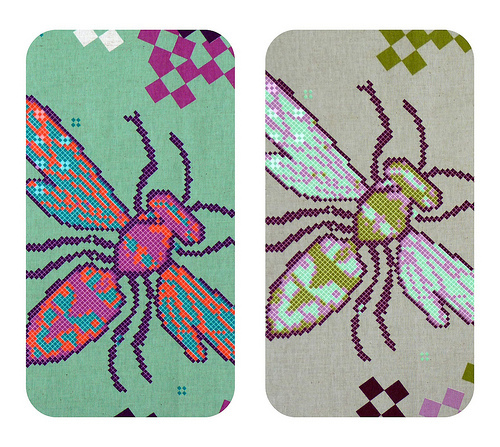 I adore the color palette as well as the quirky collection of bugs. I've already envisioned multiple ways of how I am going to cut into the various sections of these prints. 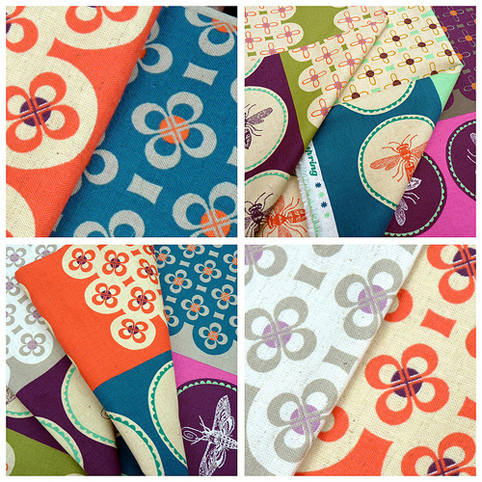 Original prints on an extra wide cotton/linen blend base that is definitely suitable for quilting making. I've bought this too.. I love it. I love the feel of this fabric and it seems to me that the colours actually glow! Definitely one of my favorites. 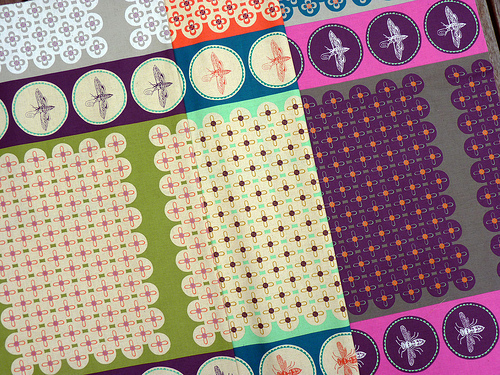 I am someone who gets a bit creeped out by bugs, but for some reason that bug fabric appeals to me!! The bees are unusual and gorgeous! i can't get enough of those bees! This fabric makes me want to sew something pretty!